The shape is specially designed and adapted to the anatomy of little feet to help babies as they take their first steps by following the natural contours of the foot (for a bare foot feel). 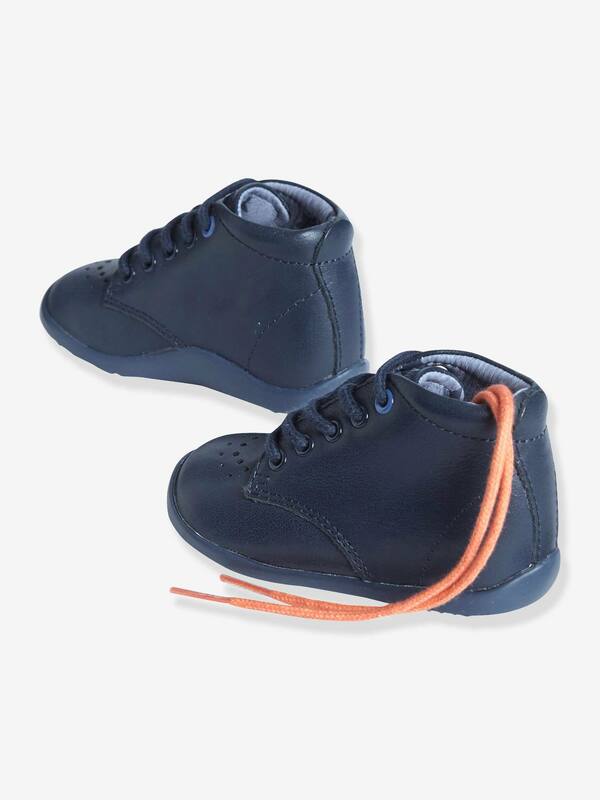 Both light and flexible, they provide the support babies need to find their balance without restricting their freedom of movement. Rigid back stiffener and lace-up fastening to support the foot correctly. Padded ankle support for comfort. Side support for correct development of the foot. A growth indicator inside the shoe allows you to check the size of the shoe matches the size of your baby's foot when you make your purchase. Plus, it allows you to check they are still the correct size over the coming months. Supplied with a 2nd pair of laces to match the colour of the lining. We recommend you measure your child's shoe size using a foot scale. Recommended shoe care: simply polish.